Multiple Vacancies are invited for Ordance Factory Bhandara (OFB) for several post availability in Government of India Ministry of Defence Indian Ordnance Factories. For Group “C” This application must be submitted online and there is no other mode of application would be accepted. Online application mode available dated from 28.03.2013 to 18.04.2013 till this closing date for all aspects, no other mode of application would be accepted. 1)The Posts reserved for PH & XS shall be adjusted by Horizontal Reservation i.e. the selected candidates shall be adjusted against the categories of UR/SC/ST/OBC to which they belong. 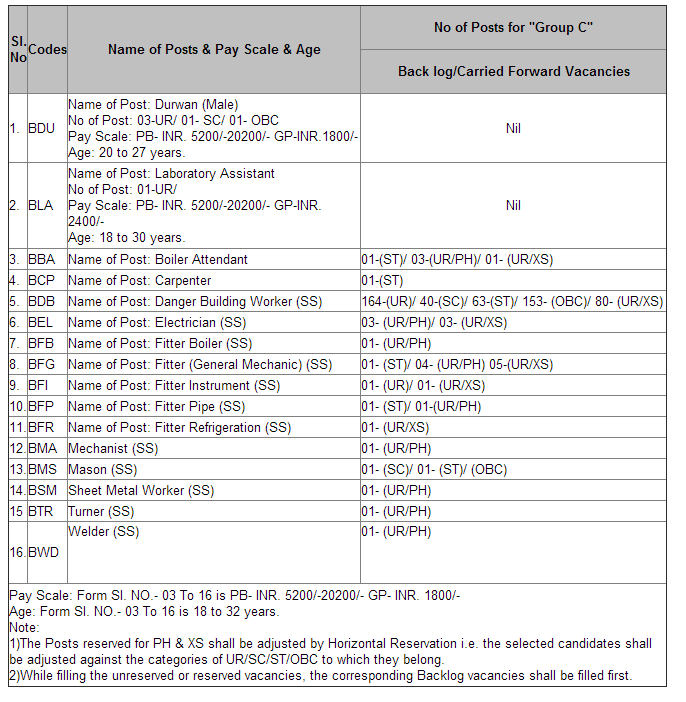 2)While filling the unreserved or reserved vacancies, the corresponding Backlog vacancies shall be filled first. 1) (BDU) Durwan (Male): Matriculation/Equivalent Pass. 2) (BLA) Laboratory Assistant: Higher Secondary in Science/ Equivalent from a recognized School or Board recognized by Government of India or State Government. 3) Form Sl. NO.- 03 To 16 : Matriculation/10th pass. The Online Applications for any Post can be submitted online from 28.03.2013 to the closing Date for submission of the Online Applications is 18.04.2013.